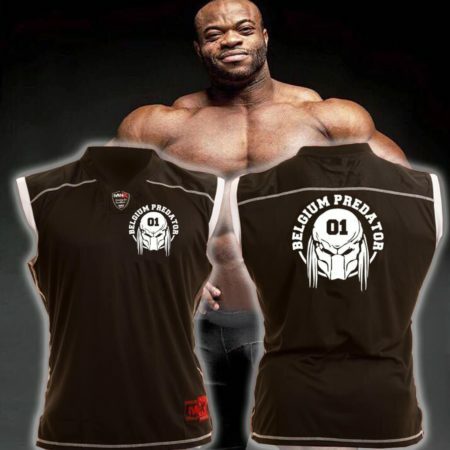 Special edition football jersey for all the fans of IFBB PRO bodybuilder Clarence De Vis, also known as “Belgium Predator”. 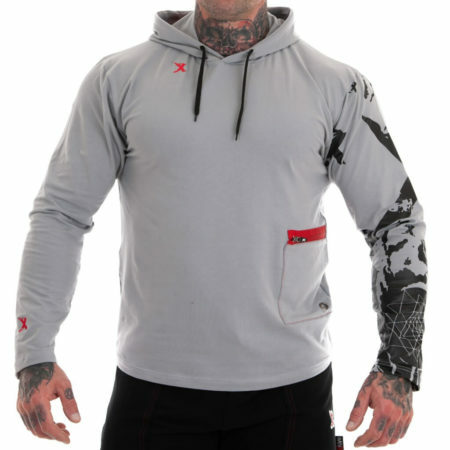 With breathable tricot mesh sections on both sides and sleeves. 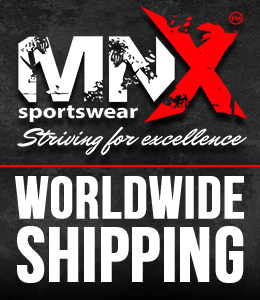 Special MNX embroidered patches in grey color. 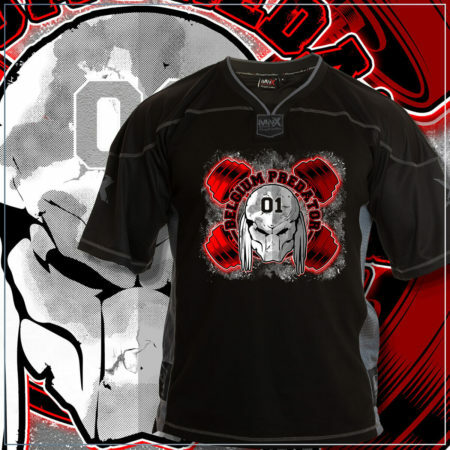 This Football tee is perfect for your workout or casual wear. 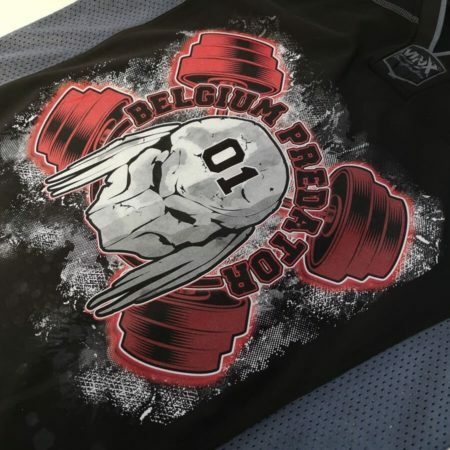 SL Footbal jersey of IFBB PRO bodybuilder Clarence De Vis, also known as “Belgium Predator”. Black color with white details and red patch. 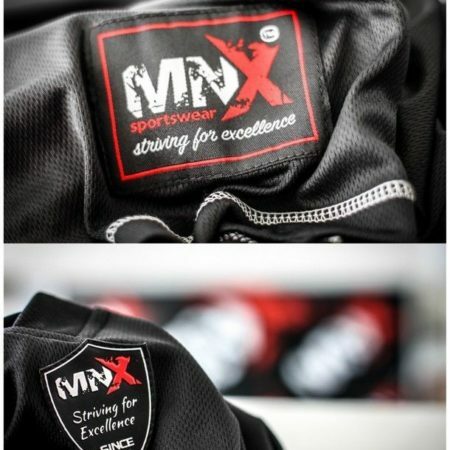 Made of breathable mesh fabric. Available in sizes S-3XL. 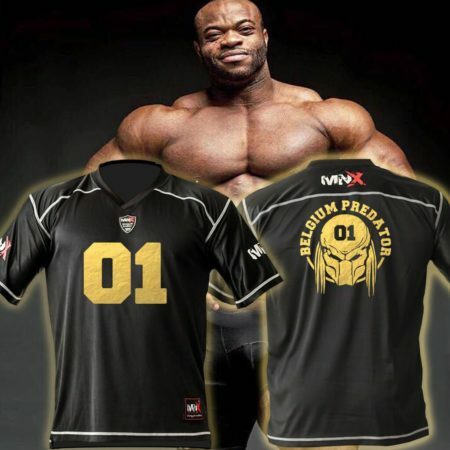 Special Edition Football tee with GOLD print of IFBB PRO bodybuilder Clarence De Vis, also known as “Belgium Predator”. This mesh football tee is perfect for your workout. 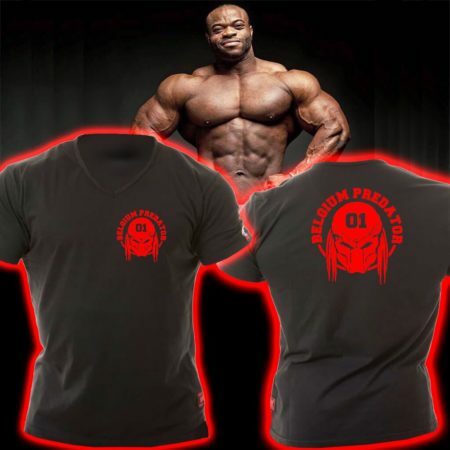 Red V-neck t-shirt with logos of IFBB PRO bodybuilder Clarence De Vis, also known as “Belgium Predator”. 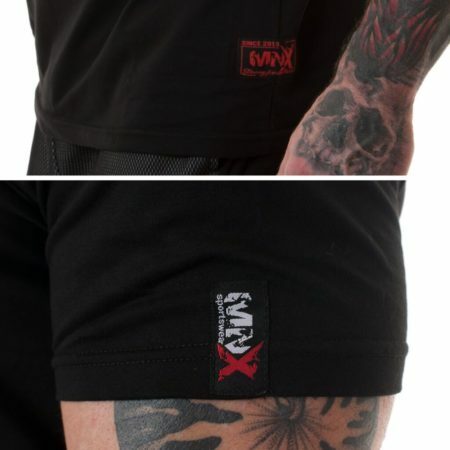 Made of 100% soft cotton for maximum comfort.